Great news! Is the track dry? YiNing: off topic, do you know who did the mini-Kimi the Lotus F1 team has? Rumors speak of a Raikkonen in the paddock literally furious when he learned that he had been penalized, recalling that in 2008, in a similar situation, he was not no penalty and complaining that now in F1 ridiculous penalties are imposed for trivial reasons , while in situations like that of Perez Monaco with the judges close their eyes. if the furiousness evolves into "sisu-like" Japan 2005, bring on Canada!
" Lotus has to count on Kimi because Grosjean comes home usually without tyres on a lorry." Kimi is right of course. You should be punished if you break the rules. So Kimi deserved his punishment. But the FIA is applying these penalties very selectively. The Perez incident had the potential to be more dangerous, and they just ignore it. Kimi RÃ¤ikkÃ¶nen equalled Michael Schumacherâ€™s record of consecutive points finishes as he endured a difficult Canadian Grand Prix. Romain Grosjean fought through the field to temporarily occupy a points placing, before an unexpected second stop dropped him to 13th place from his back of the grid start in MontrÃ©al. Kimi falls to third place in the Driversâ€™ Championship, with Fernando Alonso now in second, 12 points ahead of him. The team drops to fourth in the Constructorsâ€™ Championship, with Mercedes 20 points ahead in third. â€¢	Kimi started from P11 with a new set of supersoft tyres, changing to new mediums on lap 22.
â€¢	Romain started from P22 on a new set of medium tyres, switching to new supersofts on lap 42 and new mediums on lap 53.
â€¢	Today was Kimiâ€™s 35th consecutive race finish â€“ 27th consecutive with Lotus F1 Team â€“ and 24th consecutive Grand Prix points finish; the latter statistic meaning he equals Michael Schumacherâ€™s record. Kimi to mtv3: "I lost the brakes completely, friday we had the same problem and even a little bit yesterday.Team thought they fixed the problem but it wasn't, luckily the brakes came a bit back but still weren't that good for the rest of the race either". 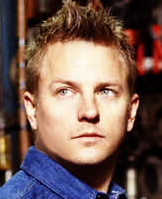 Kimi also said they themself are to blame for dropping 44 points away behind Vettel. Kimi doesn't believe that the pecking order have changed, he just thinks monaco and montreal are so different tracks compared to others and they didn't suit for Lotus. Normal tracks should make things normal again.